Well this is my first real Machinima video and I have to say that I am pretty proud of how it came out. I may even decide to turn this into a little mini-series! My first crack at Machinima using the N+ XBLA game. I want to thank Metanet Software and Slick Entertainment for making the game. Also need to thank Brukaoru for lending her voice for the female ninja! 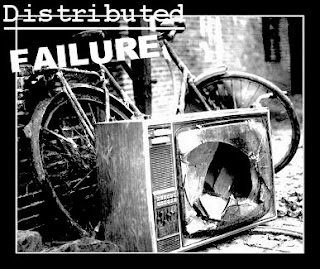 Episode 14 of Distributed Failure is no up and ready for your listening pleasure! We feature a special guest tonight: Aldenoneil! It is a Bru-less episode too...We discuss a bunch of crap and just go and listen to it! We also feature the final Minibosses song, "Mega Man 2". Uwe Boll = Not Too Bad!? I think this interview is actually pretty nice and it shows some different aspects of Uwe Boll and I think it's definitely worth watching. I found this video on Kotaku and thought it was really well done and would be a great view to those who may have missed it. It's a short lecture by Daniel Floyd done in the vain on the Zero Punctuation vids. Well these are just some shots from a small chunk of the madness that was GTAIV MP tonight...a nice little story about a man, his bike...and a tree that tries to pull them apart. Don't worry though, Kush is always there to save the day!